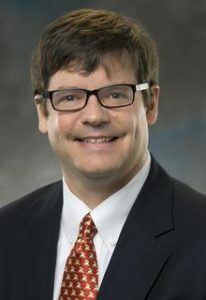 David Wilson serves as Chief Financial Officer responsible for all financial operations of the organization. David brought a wealth of experience to MHC in 2014 in community based healthcare, accounting/finance and business intelligence. In 2018, Wilson was named “Nashville Business Journal’s CFO of the Year” for non-profit agencies. Prior to joining MHC, David practiced accounting with the Nashville based accounting firm Kraft CPAs. David left public accounting in 2010 and became Director of Finance for SunCrest Healthcare, a private equity owned for-profit home healthcare company. David left SunCrest in 2014, when the company was sold, and was named CFO of Mental Health Cooperative. He is a Certified Public Accountant and an Adjunct Professor of Accounting for Belmont University. David received his Bachelor’s Degree from North Carolina State University and Middle Tennessee State University and his MBA from Belmont University, Jack Massey School of Business.